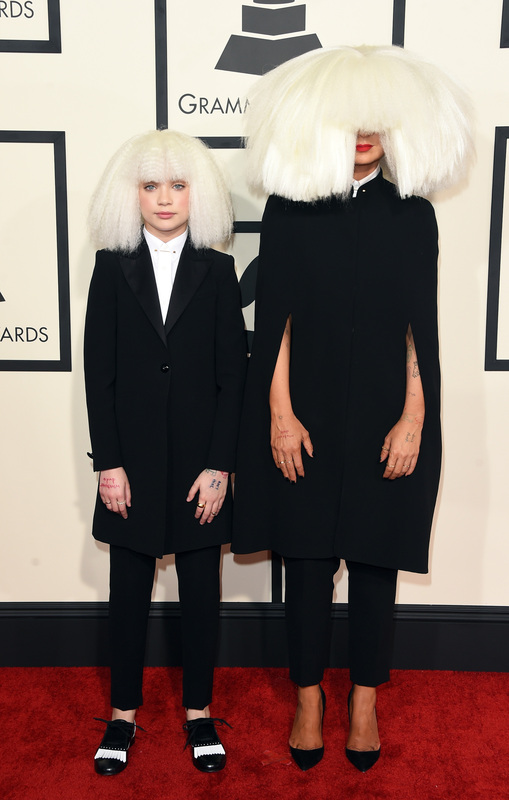 These days, Sia and Dance Moms star Maddie Ziegler are practically inseparable. It's a given now that wherever Sia goes, Ziegler is sure to follow, and they make an adorable pair, especially when they dress alike. After appearing in Sia's music videos for both "Chandelier" and "Elastic Heart" — and in her Grammy performance alongside Kristen Wiig — Ziegler has quickly become a staple in Sia's creative process, and I love it. In fact, they work so well as a duo that it's easy to forget that they haven't always been side by side. Was there actually a time that existed when they didn't work together? And actually, now that I'm thinking about it, how did Sia and Maggie Ziegler even start working together in the first place? The way Ziegler tells it, it has everything to do with social media — and surprisingly enough, all because Sia is a huge Dance Moms fan (and reality TV fan in general). I met Sia last year. She tweeted me, and she was like, "I’m a big fan of the show, and I would like you to be in the video for my new song, 'Chandelier.'" I didn’t even see [the tweet] — it was my mom or someone on my team that saw it, and I was like, "This isn’t even real. Someone’s trying to prank me." So then everyone started to look into it, and believe it or not, I actually flew to L.A., like, two weeks later. It was real. I didn’t even know if I could do it, because we’re filming our show, Dance Moms. But it was amazing. I don't blame Ziegler one bit. I totally would've thought it was a prank too, if I were her. But it's a good thing someone looked into it and figured out that this was actually a thing Sia was trying to make happen, because I can't imagine Sia being played by anyone else in the "Chandelier" video, or "Electric Heart," for that matter. And since I'm a level 85 Twitter stalker, I obviously had to scroll back through Sia's Twitter to find the tweet that sealed the destiny of Ziegler and Sia becoming a match made in musical heaven. And here it is. Isn't it legendary? It is my hope that Ziegler and Sia work together for years to come, and from the way they talk about each other, I have a feeling that they totally will, since Ziegler has nothing but positive things to say about her experiences working with Sia. And then they lived happily ever after.